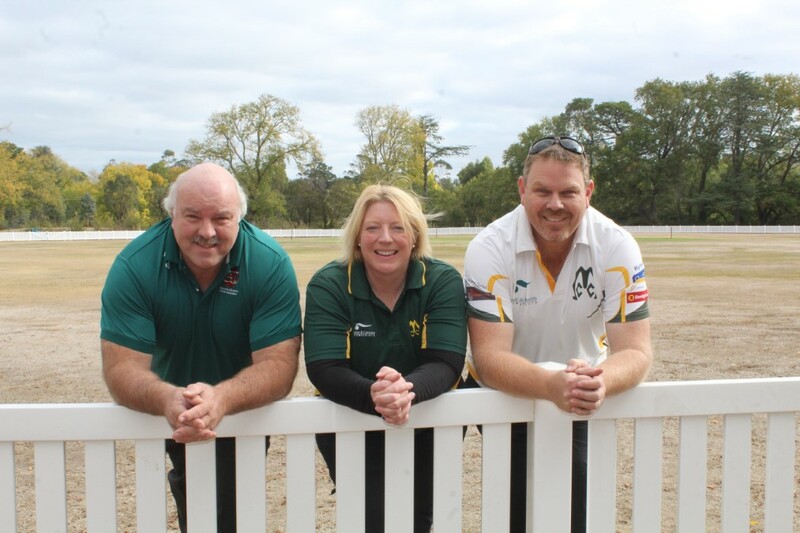 Malmsbury Cricket Ground has become a showpiece among sporting grounds in the Macedon Ranges at the completion of a $150,000 upgrade. 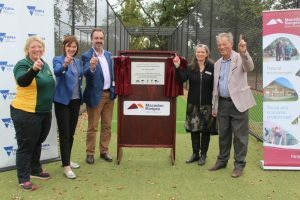 Minister for Sport Martin Pakula and local MP Mary-Anne Thomas joined club members and locals to celebrate the leap forward for the ground which features the only turf wicket in the entire Gisborne District Cricket Association region. 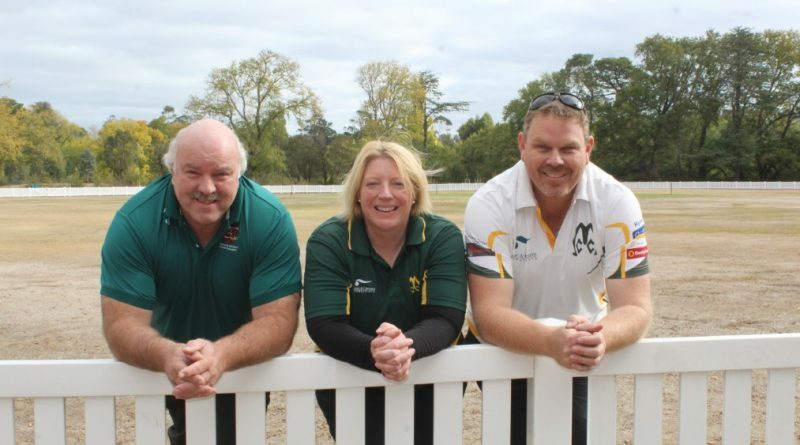 The upgrade included three new practice nets, new boundary fencing and re-cladding of the pavilion made possible with $100,000 from Victorian Government, $30,000 from Macedon Ranges Shire Council and $20,000 from Malmsbury Cricket Club. Malmsbury Cricket Club president Jenny Ganim, local MP Mary-Anne Thomas, Minister for Sport Martin Pakula, Councillor Jennifer Anderson and Councillor Bill West joined club members and locals to celebrate. Councillor Jennifer Anderson said the grounds were gaining new attention and would attract more people to the area to stimulate the local economy. Club president Jenny Ganim said the club was grateful for the upgrade. “We always knew our grounds were pretty special and now they’ve become the showpiece of grounds in the Macedon Ranges,” she said. She said the club was working towards introducing a female side and was still seeking to upgrade changerooms at the grounds. 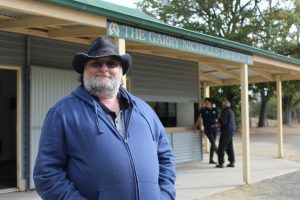 The upgraded pavilion has been named after Malmsbury Cricket Club legend Garry Nicholls who has held many positions at the club over his 40 year involvement. Many agreed it was an easy decision as he has given so much to club over the years. 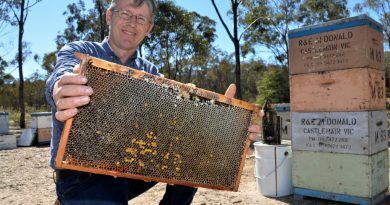 The upgraded pavilion has been named after Malmsbury Cricket Club legend Garry Nicholls. An irrigation system is needed to maintain the now showpiece Malmsbury Cricket Ground. President Jenny Ganim said the club was grateful for the recent upgrade to the grounds but one of the next steps for the club was to look at ways to improve maintenance. Ms Ganim described the grounds as “parched, dry and extremely thirsty” and said the club’s preferred option was to have an irrigation system using water from the nearby creek. MCC’s Chris Ganim said the club had made contact with Lauriston Cricket Club to purchase water rights but said the biggest hurdle was the cost of getting irrigation and water sprinklers in place. 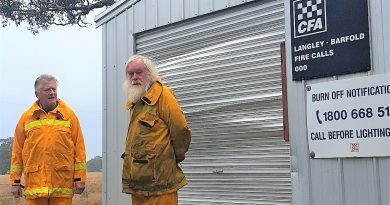 “There’s only so much we can do with sprinklers and the current set-up doesn’t water the whole ground,” he said. 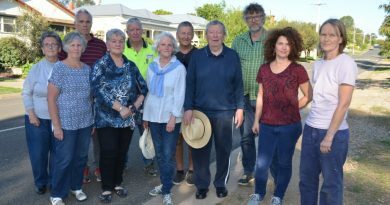 The cost of irrigation for the grounds is more than the club could afford alone and it would need the support of Coliban Water as well as local council, or other government funding.